I have Fibromyalgia and have had it for a long while, it never goes away and impacts on my daily life and my family too. Hi, I am a female, over 40, living in Australia, who has Sjogren's Syndrome - an annoying, common but little known condition. I have a blog which I hope is useful to connect people with Sjogren's and provide information about it. Thanks. I know I am late in talking, but I want to share my story. In 1993, I became ill and it never stopped. In 1994, I was diagnosed with fibromyalgia. I had to quit school, but I did get what felt like a remission off an on from 1996 to 2000. Once my twins were born, I got sick again. It started with severe pain and multiple surgeries and issues happened after their birth. I eventually was put on pain meds. Then, in 2003, I was diagnosed with Graves' disease and my thyroid was destroyed. It didn't stop my illness. I continued to struggles with strange symptoms. In 2009, things got even worse than they had been. Every year through 2011, I was housebound and confined to my bed or recliner from Spring until late fall at least. I ended up in a wheelchair. In 2011, I was diagnosed with Sjogren's by my eye doctor. 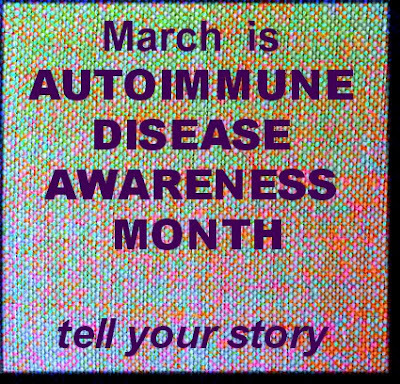 Shortly thereafter, I was diagnosed with immunoglobulin A deficiency and tested positive for a Celiac gene. 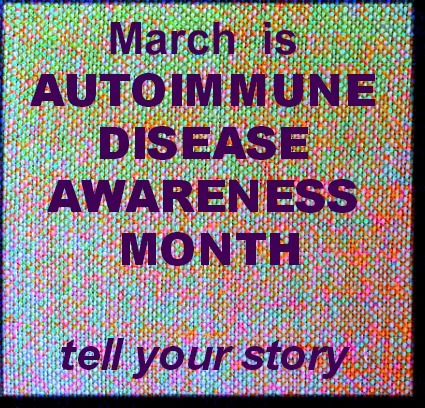 I started treatment after seeing a Chinese physician specializing in autoimmune disease around the same time. The clinic identified everything these issues and more. I am still struggling but I am not wheelchair bound, can walk, eat, but I am still needing healing. I am going to provide a link to my cause and blog. Thank you for listening, looking, and if you will, sharing my story. I wanted to provide my blog, but I couldn't sign in. My story was sent and is pretty long. To see it, visit apursuitofhappyness.com or you can read my story, help, or pass it on. I do want to mention the treatment low dose naltrexone to everyone here. I decided to send this all again in one post. I figured it would be hard to put it together otherwise.